Hi. I’m Dr. Isabella Mejia. Welcome to my Plano dental blog! I find that many of my patients in the Allen, Plano, and Fort Worth areas get a couple of dental terms mixed up. Today, I would like to clarify the differences between plaque, calculus, and cavities. 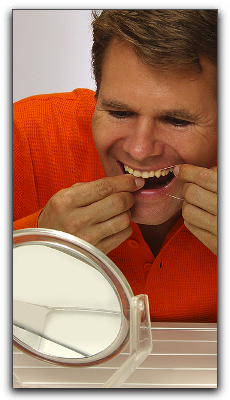 Plaque is a film that covers teeth – a sticky layer of bacteria. You can remove plaque through daily brushing and flossing. However, if it isn’t removed it can build up and harden into calculus. Calculus, also known as tartar, is hardened plaque that also accumulates minerals from food and saliva. Regular check-ups and cleanings with your Plano dentist are necessary to remove tartar as well as hard-to-reach plaque. Plaque and calculus are not cavities, but they can lead to cavities. A cavity is basically a hole in the tooth caused by decay. Because plaque and calculus contain bacteria, the bacteria release acids which accelerate tooth decay and eventually lead to more cavities. A good rule of thumb for Plano dental patients is this: Avoid plaque to avoid calculus and tartar to avoid tooth decay to avoid cavities. Got it? I hope you’ve found this helpful, and if you’re in the Allen, Plano, or Fort Worth area and are in need of quality dental care, call our office at (972) 468-8279 to schedule an appointment today. Our comfortable and comprehensive team would love to answer any questions you have about our services, including cosmetic dentistry, teeth whitening, and veneers.